BARCELONA, Spain — On a recent December morning, Ana Cuenca Sanchez balanced rubber balls on plastic cones at a senior center in the shadow of Basílica de la Sagrada Família, Barcelona’s most-visited tourist site. She paused and scanned the classroom. About a minute later she continued her exercises. Cuenca Sanchez, a 77-year-old woman with Alzheimer’s disease, said she often feels disoriented. With time, however, she can use environmental clues to re-center herself. “This is a common experience for people like us. I was at home, for example, and couldn’t remember where I was. So, I started walking through the rooms until I finally realized all of these things were my stuff,” Cuenca Sanchez said. But when people rush her, like in a supermarket line, Cuenca Sanchez said her confusion worsens. “Sometimes people are cruel and it’s hard. Maybe what I really needed is salt but when I’m nervous I buy sugar,” she said. It’s one of ten appeals that people with memory deficits in Catalonia, Spain have made about how they want to be treated. These points comprise a decalogue that has been produced into flyers distributed throughout the city, posters and a video circulating on social media. The civic engagement is spearheaded by the Catalunya La Pedrera Foundation’s Program to Reinforce and Stimulate Memory and Health (REMS). 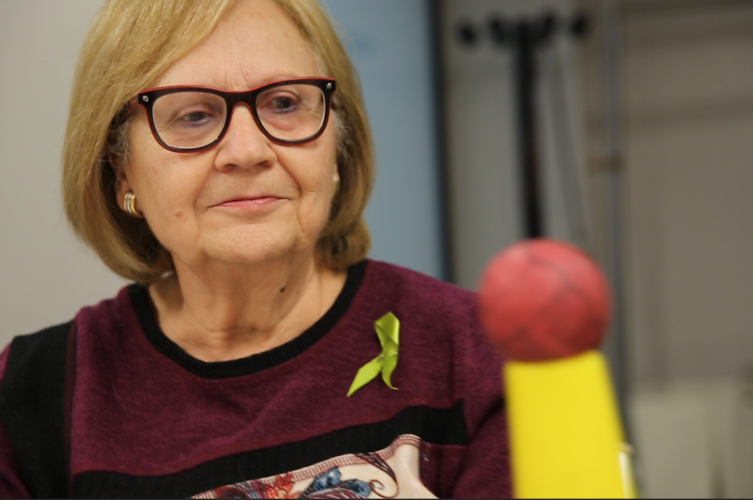 REMS runs 24 senior centers across Catalonia focused on the cognitive, physical and social empowerment of around 1,300 residents with memory deficits. “We don’t treat people who have dementia as ill people. They are people who we listen to,” said Mònica Duaigües, co-founder of the REMS program. On average, a person with Alzheimer’s lives four to eight years after diagnosis, according to the Alzheimer’s Association. 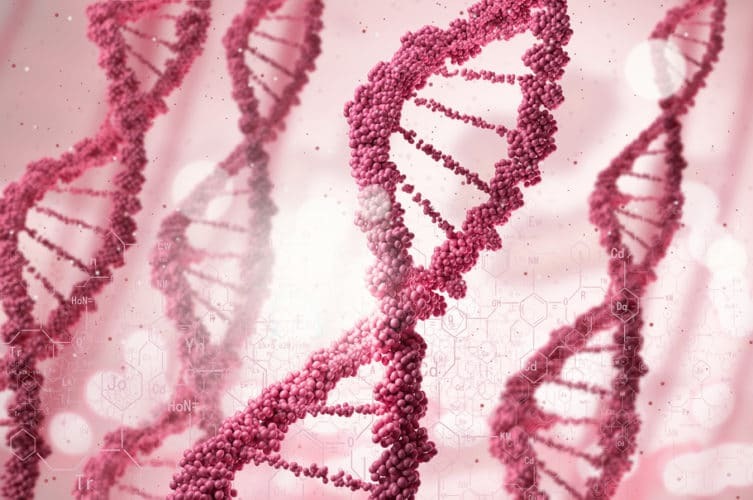 Though the rate of progression for Alzheimer’s is variable, people diagnosed with the disease can live with moderate impairment for several years, retaining some level of autonomy and awareness amid memory lapses and confusion. 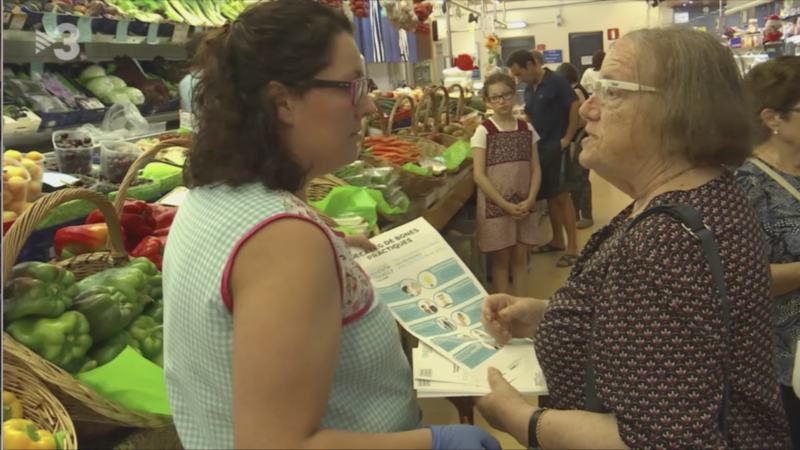 Last July, 15 REMS members with Alzheimer’s disease and related forms of cognitive impairment distributed the decalogue at a market in Vilanova i la Geltrú, a city just 40 minutes by train from Barcelona’s city center. My Opinions Are Valid. If I Believe Something, Don’t Say It’s Not True. The decalogue points were conceived by more than 40 people with dementia in Vilanova i la Geltrú who met to discuss difficulties they encounter in daily life. It’s on display at schools, hospitals and other public spaces and was mass mailed to all residents. These actions mark the initial steps to establish the city as Spain’s first dementia-friendly community. The dementia-friendly approach originated in Japan in 2004 before spreading globally. In the U.K. there are now over 400 dementia-friendly communities known to the Alzheimer’s Society. In the United States there are over 250, according to Dementia Friendly America. In each location, organizations work across stakeholder groups such as health care, legal, banking, and businesses to support inclusion and engagement of people with dementia where they live. “Becoming dementia friendly doesn’t happen overnight,” said Claire Goodman, Ph.D., professor in healthcare research at the University of Hertfordshire, in a presentation of the project at the Vilanova i la Geltrú REMS center last June. Josep B., a REMS member with dementia, said he hasn’t seen significant change in his hometown of Vilanova i la Geltrú yet. “There is still a lot of work to do in society since not everyone is involved or shows interest,” the 78-year-old said. “He sleeps with me, eats with me, does everything with me,” the 75-year-old said. 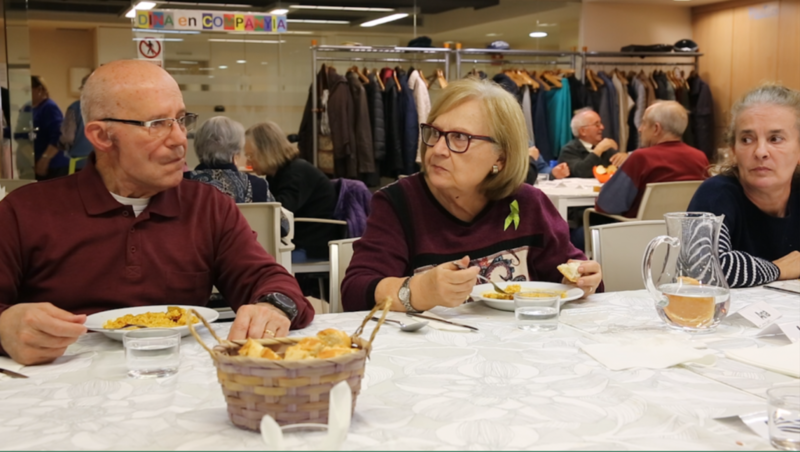 Legeren Bufeta, Cuenca Sanchez and eight others at the Sagrada Familía REMS center adapted the Vilanova i la Geltrú decalogue into a video last September which they released on social-media platforms to mark International Alzheimer’s day. For these seniors, many with early-stage Alzheimer’s, the decalogue and associated video is preparation for what’s to come, an explanation of how they want to be treated both now and as the disease progresses. 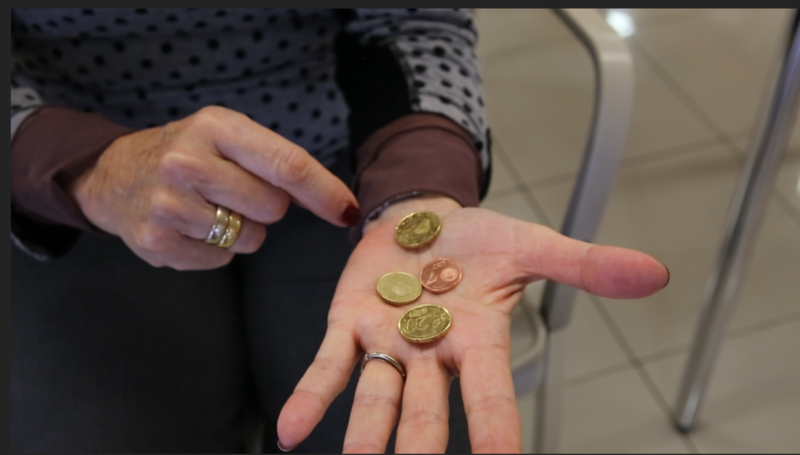 Sitting at the Sagrada Familía REMS center, Legeren Bufeta fumbles with her euro coins. For her, the decalogue point Can you help me? is a salient one. The Barcelona local said she depends on tolerant shopkeepers who help her at the checkout stand. 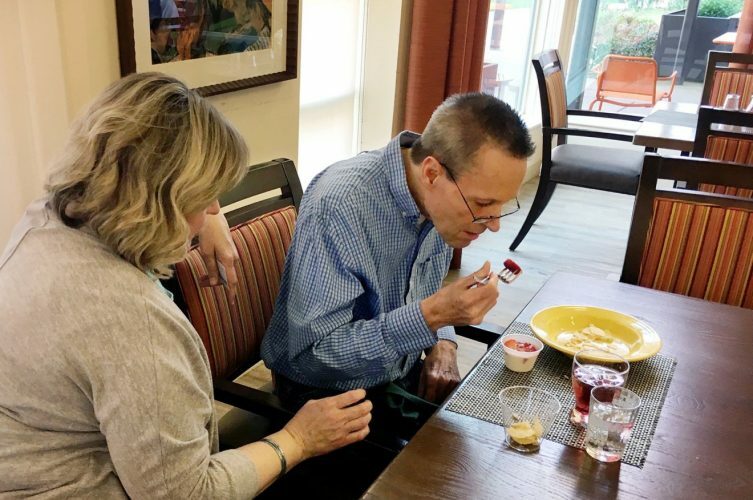 Nearby in the REMS center’s dining area, Ana Cuenca Sanchez ate tomato-rice and bread alongside her husband and caregiver Angel Sanchez Moreno. Of the 800,000 reported cases of dementia in Spain, 80 percent are living with their families who serve as caretakers, according to Catalonia’s Alzheimer’s Foundation. “People never speak to me. They speak to my husband,” Ana Cuenca Sanchez said, referring to the point in the decalogue Include me in conversations. Her husband agreed. “She has memory problems, so when we are between friends and they see that she doesn’t understand, they always talk to me,” he said. As Mònica Duaigües, the REMS co-founder explained, it’s important to give people with dementia opportunities “to act autonomously; otherwise they won’t continue to exercise that part of themselves.” For example, at the REMS centers they no longer serve the participants’ coffees. They are now encouraged to get it themselves. “It doesn’t matter if they go slowly or the cup breaks. They can do it.” Duaigües said. Angel Sanchez Moreno said that inclusion isn’t always possible, especially when his wife is confused or putting herself at risk. “Sometimes I have to treat her like she is a little girl. But if I tell her what to do, she gets angry. I have to do it without her noticing it,” he said. One of the challenges of the decalogue is that “persons with dementia are tremendously variable,” said Dr. Bill Burke of the Banner Alzheimer’s Institute. 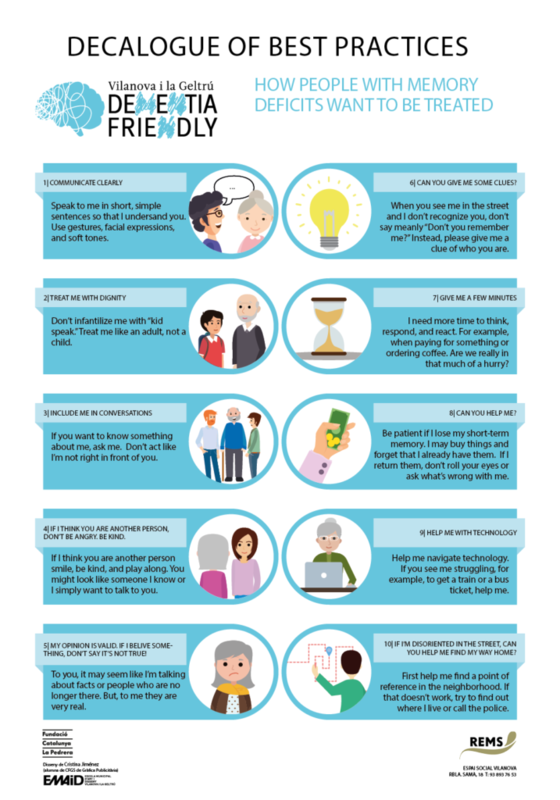 One decalogue point that may be great to follow for one person with dementia, may not be realistic for another. “Every single person experiences the illness in a different way and their experience will also differ over the course of their illness,” he said. People with Alzheimer’s may feel disorientation in time and space alongside memory loss. This includes REMS member Hermesinda Junco Junco, who often thinks she is in a different place or another decade. Her daughter, Ana Rodriguez Junco said when this happens she used to correct her mother. This led to arguments. “Now, thanks to the decalogue, I have realized that my mother has her truth and I do not enter into discussions. I try not to advance events,” Rodriguez Junco said, referring to the decalogue point My opinions are valid. My husband of 53 years was diagnosed 2years ago. I’m frightened of losing him. Some days he’s like he always has been. The sundown effect takes him away. This article really helped me. Pray for us. It’s nice to know that this story offered you some help. You are not alone. Our thoughts are with you as you go through this difficult time.